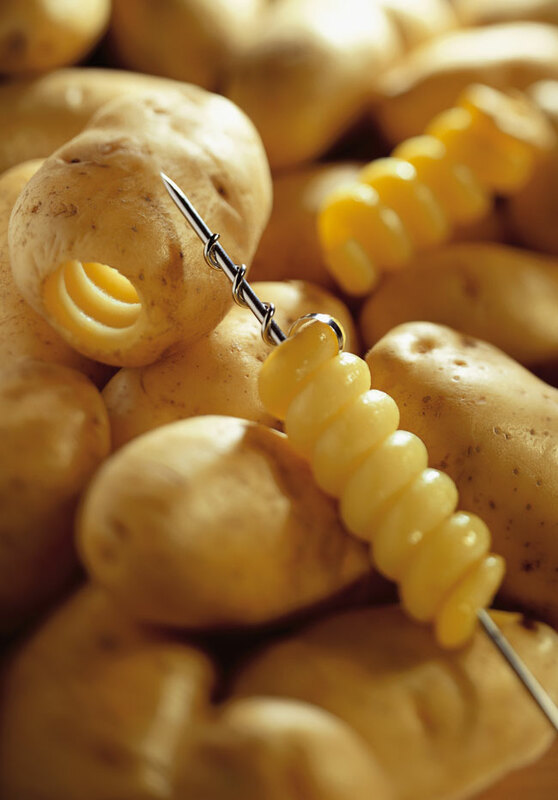 Small utensil to make 10mm diameter spirals of potato. When steamed or deep fried, these spirals make original decoration for dishes. Stainless steel.